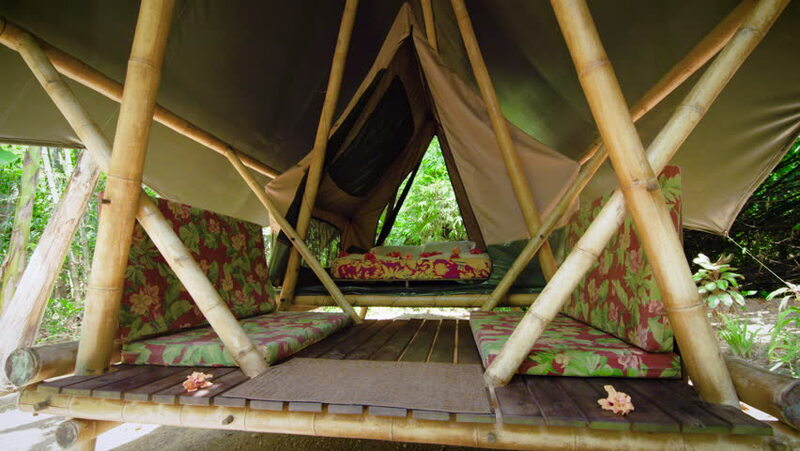 A cinematic dolly tracking slider gimbal shot of a jungle tent bungalow bamboo structure in the rainforest. hd00:09Nature abstract background, nature green bokeh. And Sunlight shining through the leaves of trees, natural blurred background. hd00:10Dragonfly sitting on green leaves of reeds.